Over the years Britain has been blessed with many top Japanese masters, of various styles, teaching in the United Kingdom. Masters such as Tatsuo Suzuki, Hirokazu Kanazawa, Mitsusuke Harada and Keinosuke Enoeda have inspired many with their skill and spirit. 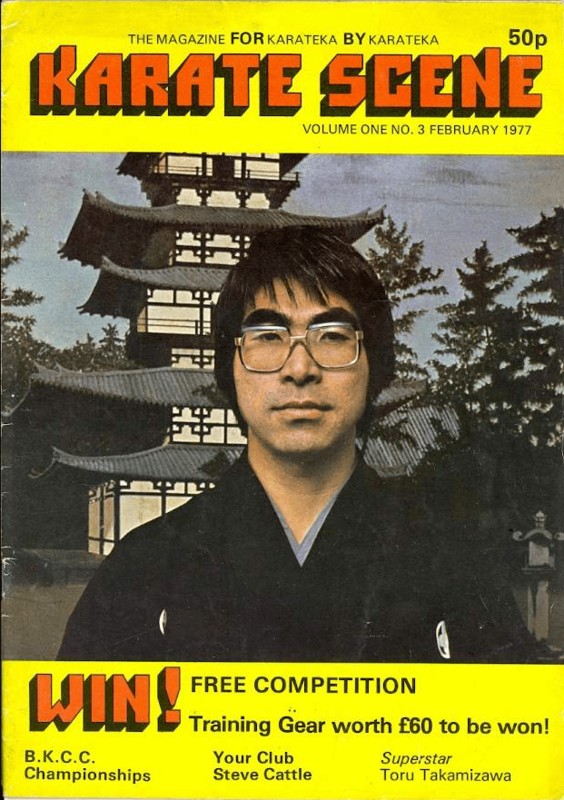 One master, considered by many to be one of the best Japanese instructors to ever teach in the United Kingdom is Toru Takamizawa. Described as an intelligent, technical instructor, his fluid precise techniques inspired his students, many who continue to train. Toru Takamizawa was born to a family of samurai lineage in 1942 in the city of Nagano Japan. He was the youngest of seven children, having three brothers and three sisters. Takamizawa began practicing Judo when he was fifteen years old. One of his older brothers had encouraged him to start training. He had wanted to study Karate, but could not find a suitable dojo. Also at the time people had funny ideas about Karate. Some thought that this relatively new martial art was violent and more suited to thugs. For the next couple of years Takamizawa progressed through his Judo training, eventually being awarded his black belt. At the age of eighteen he stopped training, to concentrate on his studies to enter university. He eventually won a place at Tokyo University of Foreign Studies, where he majored in Russian Culture and English Language. It was during this time that Takamizawa saw a Karate demonstration given at the university. It rekindled his interest in the martial art. He joined the university’s Wado-ryu Karate club, training under Jiro Otsuka, son of Wado-ryu founder Hironori Otsuka. He found that he was well suited to Karate. Fitting his practice around his studies he would train for around fifteen hours a week. He gained his 1st Dan after only nineteen months. Eighteen months later he had earned his 2nd Dan. Despite his natural talent for Karate his family were disgusted with him taking the foreign Okinawan art of Karate. After graduating university, Takamizawa decided to travel to England to further his English studies. Initially arriving in London March of 1966, he stayed in the city for around five months. He then moved to Wales, with the intension of joining Swansea University. In January 1965 one of Hironori Ohtsuka’s top students, Tatsuo Suzuki, moved to London with the aim of spreading Wado-ryu outside of Japan. At his London dojo he was assisted by the talented Masafumi Shiomistu, Hisaomi Fujii and Myoshin Hayakawa. Takamizawa started training with the Japanese instructors on a regular basis. By his own admission, after training with these top instructors for only seven months, his Karate had vastly improved. Rather than pursuing his academic studies he decided to become a fulltime Karate instructor and returned to London. Initially there was a lack of teaching opportunities for Takamizawa in London. By 1969 he did manage to teach classes in Birmingham twice a week. His classes were held at the Digbeth Civic Hall. This meant commuting from London several times a week. Eventually he settled in Birmingham. By 1970 Takamizawa had helped establish Karate at the Temple Club. The Temple Karate club was one of the most successful clubs of the 1970s. The club was founded in 1964, initially as a bodybuilding gym by Mike Haig. Haig was at a Judo event when he saw a Karate demonstration by Wado-ryu master, Tatsuo Suzuki. He was so impressed that he invited Suzuki to teach Wado-ryu Karate at the Temple Club. Takamizawa would eventually become the resident instructor. 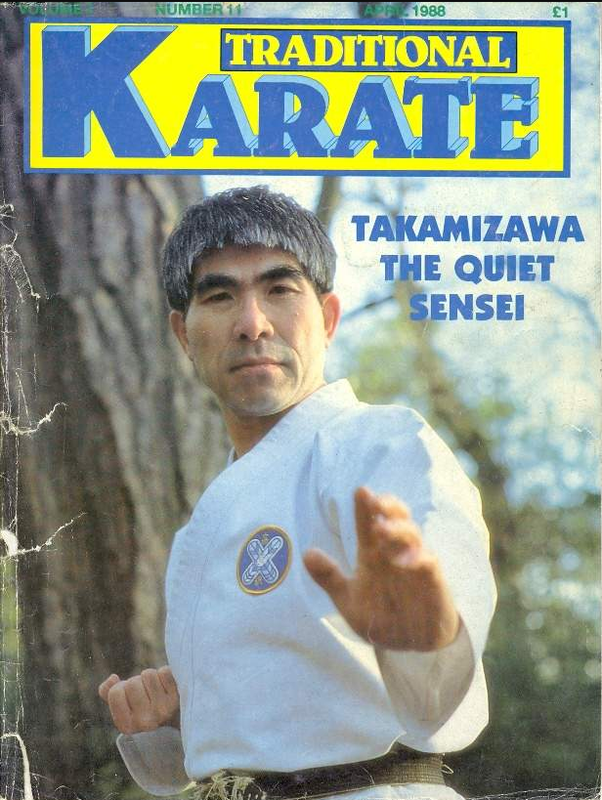 Many top karateka would, including Eugene Codrington and Doug James, would be influenced by the teachings of the quietly spoken Takamizawa at the Temple Club. By 1975 Takamizawa had been living and working in the United Kingdom for almost ten years. He had met and eventually married his wife Tracey. Britain had now become his home, so he applied for and was granted British Citizenship. Having helped make the Temple Karate Club a force in Bristish Karate, Takamizawa formed the Tera Karate Kai organization in 1978, breaking away from the other Japanese Wado-ryu instructors. . The organization started with fifteen clubs. Several years later rte membership of the organization had risen to over fifty clubs. For the next couple of years Takamizawa continued to establish his brand of Wado-ryu Karate. 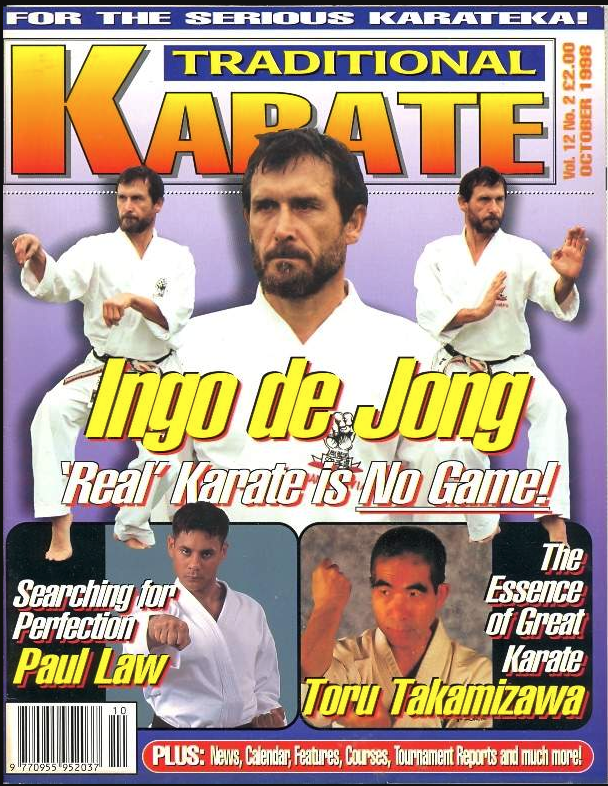 In 1986, together with martial artist and author, Steve Rowe, he wrote the book Concepts of Karate. An intelligent and technical karateka, the book features many of the insights on Karate that his students had come to know and love. In later years he realigned himself with Jiro Ohtsuka, his original instructor. In 1998 the World of British Wado-ryu was shocked by the death of Toru Takamizawa from throat cancer aged only fifty-seven years old. He was survived by his wife Tracey and their four children. An open minded and forward-thinking instructor, Takamizawa’s quiet and intelligent teaching style helped bring the best out of his students. Ex-students would state that he held no animosity to them leaving and would always be available to offer them advice. His fluid, precise and powerful techniques were always an inspiration to his students.